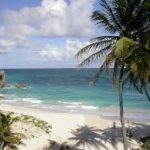 Situated on the picturesque South Coast, Christ Church is Barbados’s largest parish, spanning an area of twenty two square miles. 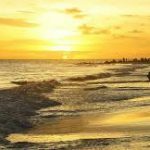 With its vibrant social offerings, colourful night life and stretches of isolated coastline, it is a popular choice for young families and couples wanting to unwind. As well as being favoured by Windsurfers and Kite Surfers for breezy shores and rugged surf. 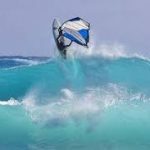 Each January the Barbados Windsurfing championships are held at Christ Churches’ aptly named Silver Rock Beach and the event brings many spectators from across the island. Aside from secluded beaches and plentiful water sports Christ Church Parish offers a diverse array of activities; ranging from Golf at the renowned Manchester Golf Club, to cricket, Jamaican rum tasting and guided snorkelling. At the main fishing port, Oistins, a daily catch is sold at the bustling waterfront market. 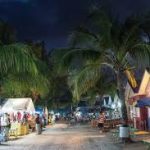 Friday evenings see Oistins play host to a weekly Fish Fry; where visitors and locals come together to enjoy delicious sea food, calypso dancing and local crafts. For those who enjoy a good party, St Lawrence Gap is the happening area, which at nightfall comes alive with restaurants, bars and nightclubs, where the islands best DJ’s and local bands play music in to the early hours.